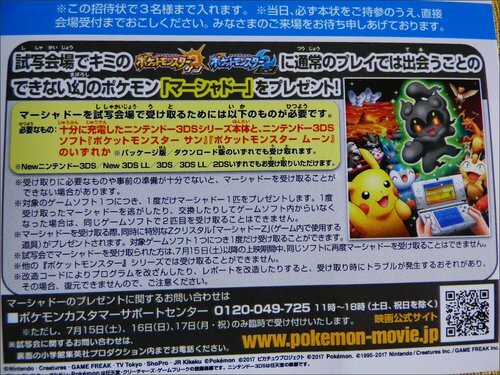 This event was distributed to players locally, during the movie screening of Pokemon Movie 20: I Choose You! 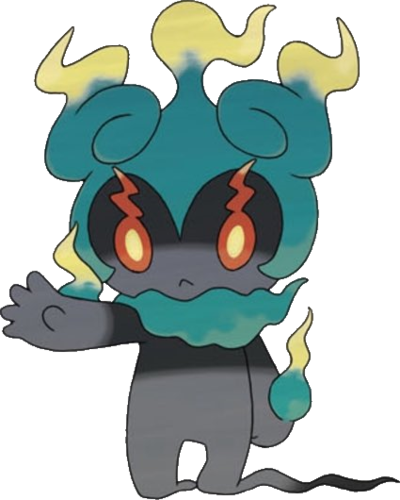 Movie pre-screening and distribution started as early as June 30th, 2017. 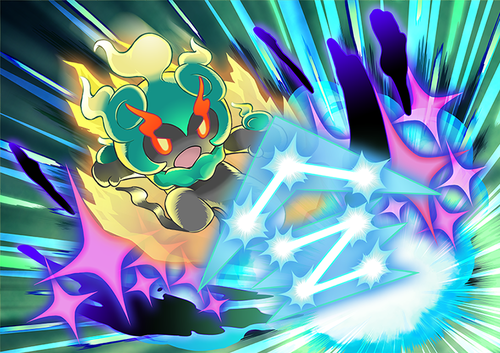 This event comes bundled with the unique Z-Crystal Marshadium, marking its first release to public. 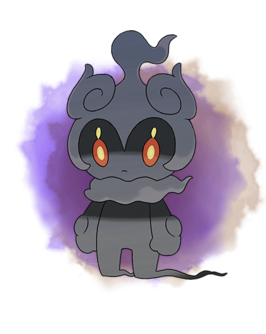 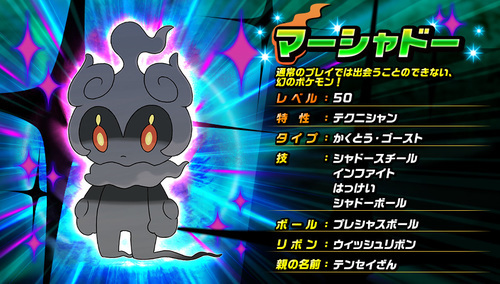 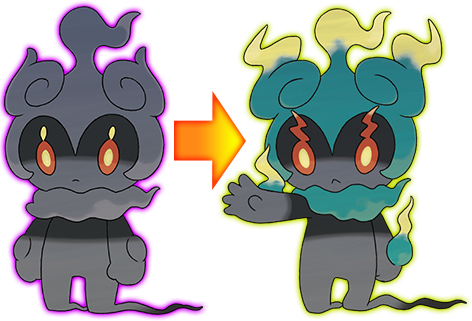 This also marks the first release of Marshadow. 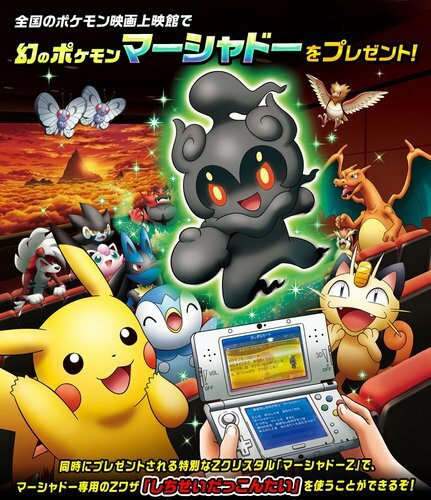 0x03 Thank you for coming to see the 2017 Pokémon Movie! 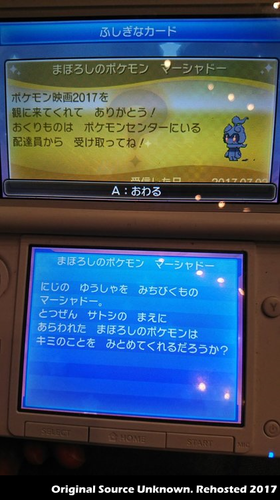 Please pick up your gift from the deliveryman in any Pokémon Center.